The VMCC’s raffle bike, nicely presented though it is, is really an owner’s version of the Turbo Twin rather than a factory example. 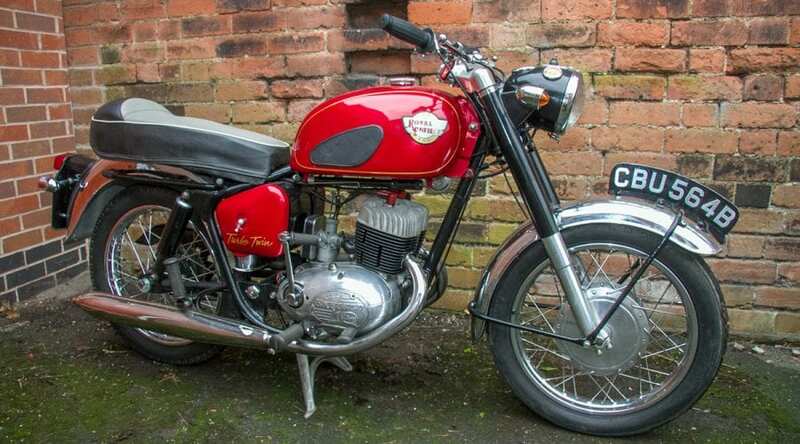 The TT, with its Villiers engine fitted into a Crusader frame, was built by Enfield at an interesting time. 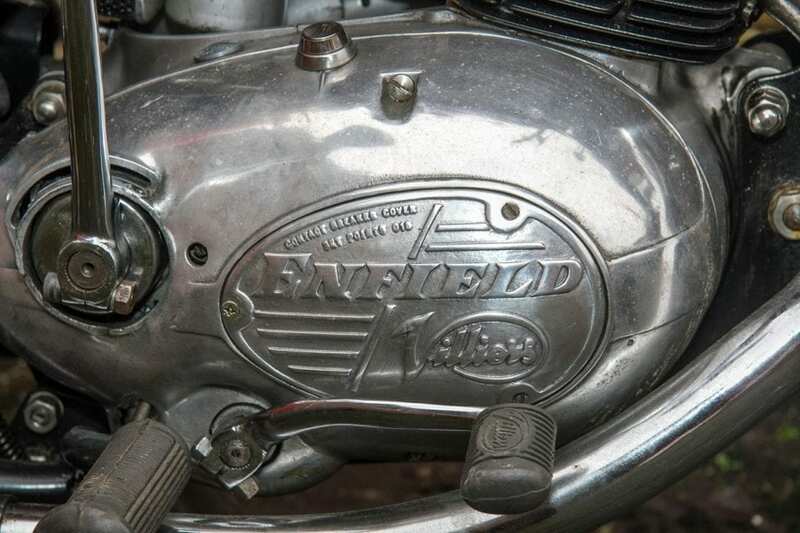 The early 1960s marked a change of ownership of the Enfield Cycle Company and there seems to have been a new spirit of optimism in Redditch. They hired Geoff Duke to lead development of a new racing machine, the GP5, and he brought in highly respected development engineer Herman Meir; meanwhile the existing design team were producing new, good-looking Interceptors for the American market, a range of pretty 250cc four-strokes for British learners and starting development of an overhead cam single and a range of advanced design step-through to fill the new commuter / shopper market. 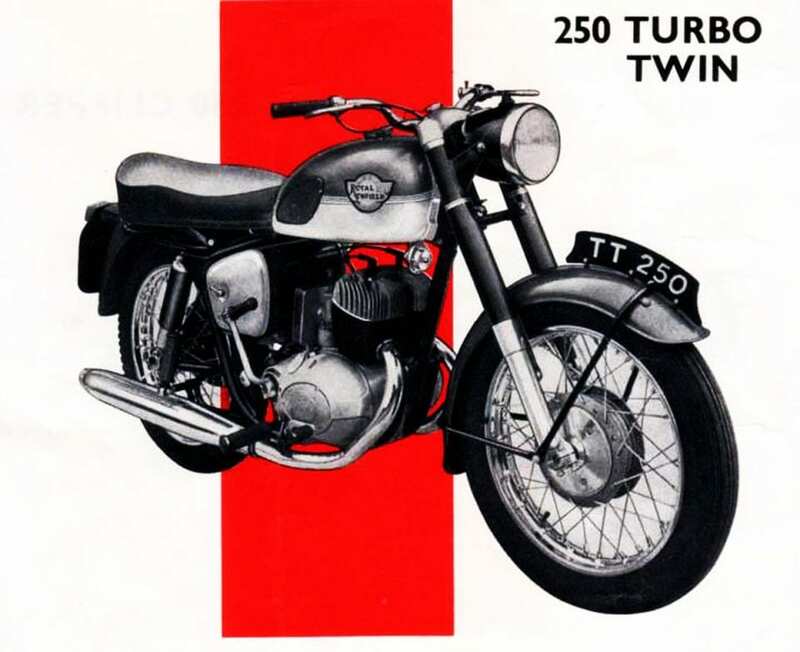 In this context the Turbo Twin should be seen as an upmarket offer, not the cheap utility machine we often associate with British makers’ Villiers engine offerings. Villiers may have thought so too, the points cover on the Turbo Twin is marked Enfield Villiers, something I believe they did for no other manufacturer. 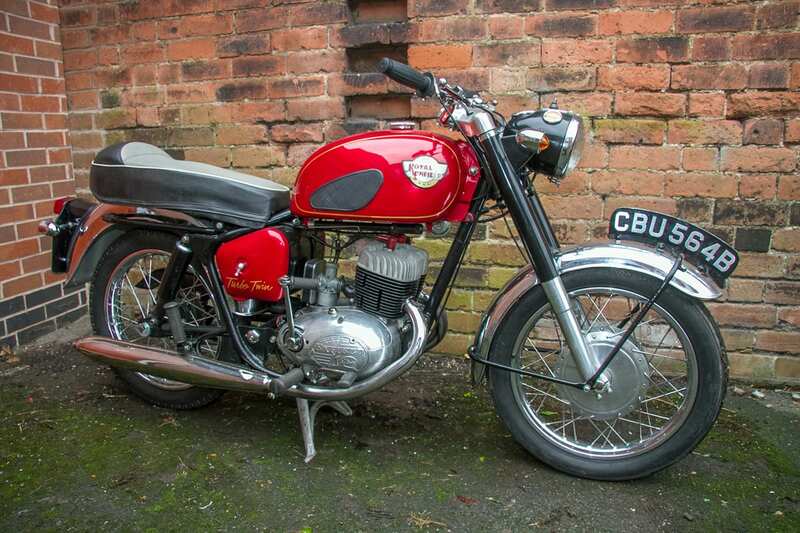 The TT features several parts developed just for this model (not usual Enfield practice! ), including the top yoke, toolbox and gearbox chainguard cover. 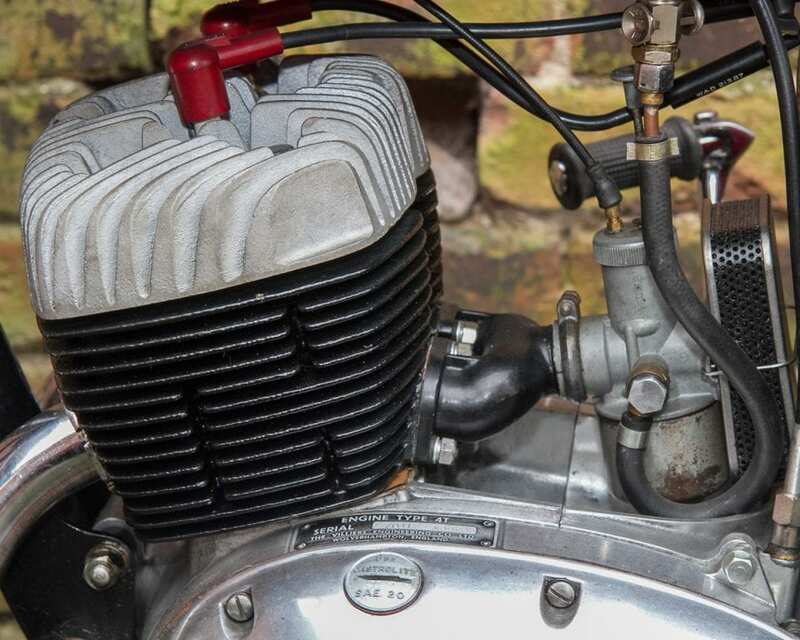 The engine itself, the 4T twin, is a well-made and sophisticated design and the whole package is very neat, almost too discrete in the original finish to attract much notice which presumably prompted the extra chrome Sports version. The raffle bike’s lines are spoilt by the seat which is actually from the Continental GT and the rear chainguard is from a much bigger bike (probably an Interceptor), not helped by the missing cover over the join between engine and rear chainguard. The headlamp is also wrong, the very rare, correct example had no ignition switch or ammeter, the switch actually being on the engine cover. Other incorrect details (dons anorak) are the tank lining and the TT script on the toolbox lids which also jar. 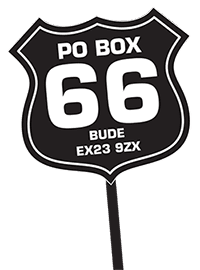 However, the use of these parts is understandable and also shows how other items can be co-opted from the Enfield parts books. The TT sold well, over 700 being made, a lot for a small factory. Enfield may have anticipated more, as the Villiers-supplied silencers were used on some Crusaders for several years afterwards, totally killing performance according to a factory employee I spoke to! 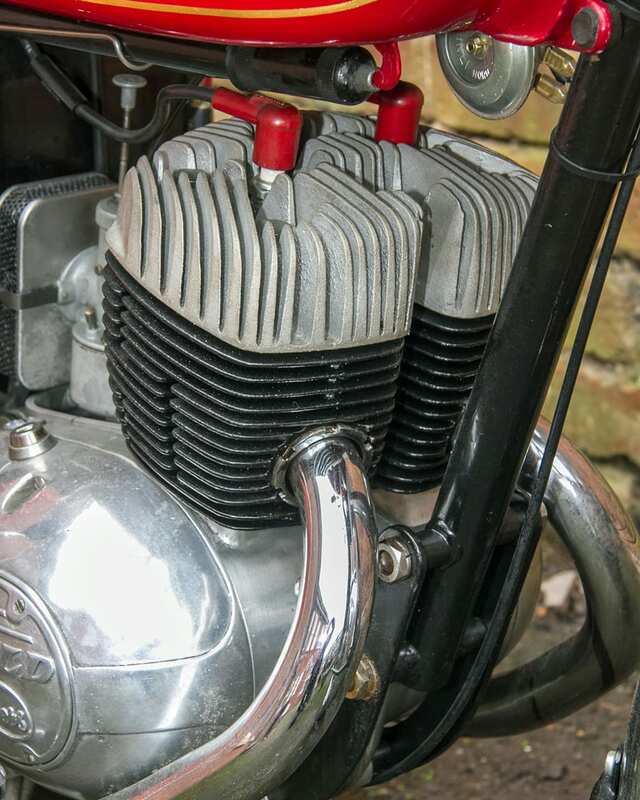 Some TT parts also appeared on other models too, the top yoke reappeared on the Mk1A Interceptor and the toolbox, complete with dummy switch left lid, was used on the late Mk1 Inters.